I’m making this the official mantra of my life right now. After all, “How fascinating!” A little quiet reflection tells me that good things are on the other side of those messy first steps. We know that when we take a big project and break it down into manageable steps, we’re more likely to stick with it + succeed, right? So I decided to press pause on feeling overwhelmed + overthinking responsible/ethical fashion — and just try a step. A small + manageable step. I picked just three areas in my closet — shoes, bags, and active wear — and decided to start there when it comes to shopping responsibly. Does this mean I’m tossing out all of my old shoes, bags, and active wear? No. To me, the most responsible practice I can adopt is trying to get the full use out of the things I already have. But it does mean the next time I’m in the market for one of these things, I have some affordable + ethical options at my fingertips. And now that I’ve got bags, shoes, and active wear on lock, I’m ready to keep going and find ethical options for three more areas in my closet. Now, I don’t want to oversimplify or pretend that this whole “pick three!” is a quick, neat solution to ethical fashion — it’s not. But hopefully, it’s a manageable step that can get us back on track when we’re feeling overwhelmed. A post about shopping + ethical fashion is a grey area for sure. Because, many agree that the most ethical thing we can do is simply not buy new things. Or at the very least, shop second hand. For me, right now, my approach is a blend of shopping less + shopping second hand + shopping for new, responsibly made pieces. Let me warn you, I got a little carried away. There is a LOT of stuff in this post. Almost an annoying amount of stuff. I considered whittling it down … but the point of this post is to celebrate that there are actually a LOT of pieces out there that are beautiful + ethical + not outrageously expensive. It encouraged me, and I hope it does the same for you. 03 | Crossover sandal by Sseko $69 | Empowers women | Fit note: They run a little wide so you might want to size down. The straps are pretty tight at first too, but they should loosen up nicely with a few wears. I hope you feel encouraged and inspired from all of this. There are people + companies out there doing good things. Let’s celebrate that — and then go do good things too. And, finally, I just want to give you a big ol’ thank you for your insightful comments on last week’s post. I love the conversation we’re having, and I love how you’re treating it with kindness + grace + dignity. What are you learning from your own messy first steps? Caroline! Love your blog! Love the capsule premise and thought behind it. Striving for quality not quantity. I have been interested, and trying to ethically shop for a while. It starts to get discouraging trying to shop (especially when you live in Canada – shipping costs and our dollar are hindering my responsible online shopping). BUT the more people that know and start to practice it, the more common place and regular it will become! Fair pay and treatment for everyone! Two ethical and fair companies you should check out are Oliberte (shoes), and Parker Clay (gorgeous bags)! I am not shopping for new clothes at the moment because I want to USE UP my wardrobe first but I will definitely come back to this post for future reference. Ah I love everything! ALSO, love how you broke it down! Seems a lot less daunting when its broken down like that! Love the bag from your SILs shop! It’s just what I’ve been on the hunt for for over a year! Adding it to my wish list now! Also, I really like Baggu products. Their nylon shopping bags and leather clutch have served me well for years. Oh my gosh, you are sooooo helpful! I always try to find ways to be more ethical and environmental friendly and I found the place:) Thank you! But you make it less daunting and I love the “how fascinating?” Mantra. Great blog! Broken down so nicely with the images and info! You’re on to something here! Thank you! We did a teambuilding training around that concept & they called it smallify. I love the idea of making things doable by shrinking them down! 1. I refuse to buy anything with polyester or other artificial petroleum based fibers. It does not wear well, no matter who makes it, and every time you wash it, tiny fibers are ending up in our rivers, lakes and oceans. It will not biodegrade and they are finding this inside fish and birds. 2. Shoes like Tom’s, which claim to be ethical by giving free shoes to people in need have a few problems, but the main one is that they don’t last long. I get maybe six to eight months out of a pair of Tom’s and then they go in the garbage. For $55 a pair, I don’t think it’s worth it. I love Tom’s but after just warrantying two pairs with them, I think I am done. 3. There are some fine clog makers in the USA and Sweden that sell really cute shoes that will last and are repairable. I have Sven clogs, made in USA, Swedish Hasbeens, and there are a few other brands that make insanely cute shoes, like Calou and Lotta. I’m so happy to have this information on the bags! I usually try to find products made in the USA, but they are often so expensive. I need to replace my school bag, and I think the Mamueye leather tote from fashionABLE will be just what I’m looking for. Big thank you! This is fantastic. I checked out a few of the links, and it looks like many of the companies make other types of products too. This page = bookmarked! Thanks for the sizing tip on the Veja sneaks…I’ve been looking at a different pair and worrying about what size to get for the same reason you mentioned! I’ve been looking into those Sseko sandals too (thanks to you!) but trying to decide on size. Sandals of this style often find my feet slipping around! Like you, I wear a 7 usually. Did you end up getting size 6? Hi Caroline, I went shopping recently but now having seen your post on ethical clothing I feel like returning them all and shopping for the items you just posting in ethical wear. My question for your Caroline is will you be changing your capsule wardrobe in time to one of ethical clothing? By the way I absolutely love your capsule wardrobes, so funky! Hi Caroline, another great bag company is Wills Leather Goods, it’s based in Eugene Oregon. They use the leather scraps from the meat industry so there aren’t more cattle being raised for one purpose. As well as the canvas and fabric bags are either from women in third world countries that are given the option to sell the their fabrics to help provide for their families or they are vintage fabrics that are repurpose into new pieces. Love their products! I never knew this part though; thanks for sharing! My favorite post you’ve ever written. I love your attitude and the wonderful information. Cheers to messy first steps! Yes! You are a saint! I totally agree with the messy first steps idea and taking it slowly as we need to replace items in our wardrobe. Thanks for doing all the work and sharing it with us! I’ve always been on the buy less, buy second hand when I can train. I have to admit when you said the catagories you were starting in I was thinking, ‘woah that’s going to be so hard/expensive/impossible.’ I’m glad you proved me wrong. I’ve been looking to upgrade some of my activewear and I have been having a tough time finding things I know I will wear out before I hate them. Thank you. Caroline, I love your journey into this!! Mine has looked very similar. “Baby steps” is my mantra. I read a blog post almost two years ago about fast fashion and just couldn’t un-read it. Everywhere I went, I saw it, and realized God was asking me to care about this. It also hit me that if I wanted this area of my life to be sustainable, and actually have it be a long-lasting permanent change, I was going to have to re-learn how I shopped and approached clothes. Baby steps. Your blog helped me early on in my journey by teaching me about the beauty of minimalism. I couldn’t be ethical without also being minimal, so that was the first area God started me in. I have learned and changed a lot in the last two years and am still learning and growing. I want to thank you, Caroline, for your blog. I was drowning in my closet and the constant need to have more and fill a void in my heart with clothes. As silly as it sounds, it truly was making me miserable and also confused about who I was as I tried to wear all these clothes I kept collecting that weren’t “me.” Your blog helped me practically clean house and incorporate good habits and I will say my quality of life has drastically improved. God has used this blog in so many ways to bring me freedom in this area. It makes me so joyful to see you now diving into learning about ethical fashion and I am happy to share the journey with you! Love seeing you blog again! And, just in case you have never heard of these places, another AMAZING place to find ethical purses/bags is Purse & Clutch (They rock and also have incredible customer service!!) and Thredup is a fun online thrift store. 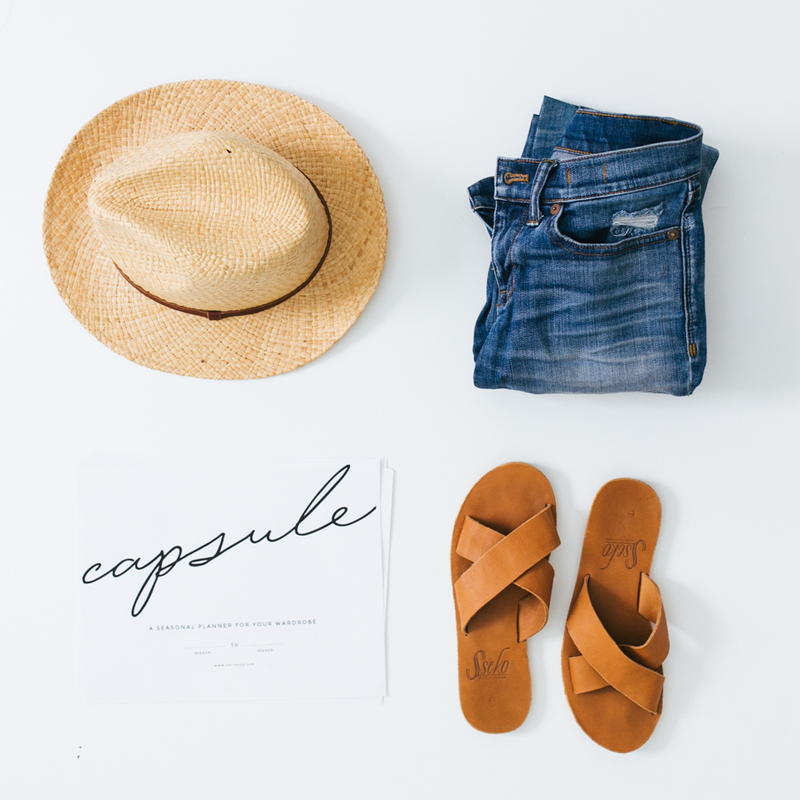 (And I love that you featured Everlane, love them!) I also recently saw that A’ltard State has certain Made in the USA brands. Anyway, thank you for everything and have an amazing weekend! Wow! You put into words my own feelings (the negative part, about being overwhelmed, loss of identity, etc). I’m slowly finding my way out of that bad place and this blog helps. I still have such a long way to go, and a big part of it is that this pairing down process has almost been like going through therapy… A lot not refrito then i ever imagined. It would help to be doing this with a friend, but for now I’m on my own. Your comment validated my feelings so well and encouraged me! I would love to know does anyone know if Madewell is an ethical store? I feel like giving their name you hope they would be, but you never know. I’ve never looked into ethical clothing before so I really have very limited knowledge. I can’t wait to lean more though! The other slides in the series contain info on other well known brands too. Love my FashionABLE tote- great bag. Ethical clothing, like vegetarianism, has so many levels of commitment – remember the Simpsons episode where Paul McCartney appears as a Level 5 Vegan (eats nothing that has ever cast a shadow)? There are so many shades of grey, where do you draw the line? I like that you have weighed up the moral dilemma of tossing out the less ethical things you own. Creating waste like that in my opinion certainly is the greater of the two evils. I also like that you have chosen categories that are either high turn-over (workout gear definitely has an expiration date) where regularly replacing the item could have an environmental impact, or high investment, where spending good money on something ethical has a bigger impact as you will buy better, buy less and own that item for years. Someone also mentioned making repairs in the comments. I am a big supporter of this when it comes to leather goods (shoes, handbags etc). Often its not the leather that has deteriorated but parts that can be replaced and become good as new. Leather often gets BETTER with age – the wear and tear making it softer and more individual. I am a meat eater (no level 5 Vegan here!) so I have no problem with wearing leather and much prefer that to petroleum derived alternatives that do not bio-degrade. The least we can do is honour the animal by not letting anything go to waste. I wonder, do Vegans eat from fine bone china? In the past six months you have been the biggest reason why I wanted a capsule closet… Also the fact that I’m living on my own and starting to build debt. Making a capsule closer has it complexities for sure! Right now I’m down to 60 pieces in my closet not including activewear. Keep up the inspiration. The blogging world is blooming but not everyone has the money to buy overly-priced- branded items. I’m so excited to continue in this journey, I’m also excited at the fact that we’re not only helping ourselves in the process but we’re also (most importantly) helping our environment for not buying so much and buying ethical items. Amazing that you are on this journey! Messy first steps are always needed for everything. Maybe in the future you might get into the ethical side of leather? This 6 minutes video tells a little bit about influence of leather on people and environment: https://www.youtube.com/watch?v=6WB7ekqInfc. Just a suggestion :) Love your blog! I have a question about vegan leather and if it’s really a better option than leather. Leather use I know is considered inhumane and processing the leather uses lots of chemicals and such however, it can often last a lifetime if taken care of. Leather is one of those materials that can easily come back to life with a little nurioushing. It can be easily restored with some conditioner but pleather is hard to break-in, prone to cracking and is synthetic. The synthetic part really gets me. I feel like to choice to consciously purchase vegan leather out of social responsibility neglects to recognize the that the creation of synthetic materials impacts the environment through chemical construction and the toxicity associated with contact through off-gassing and contact. Vegan leather is also petroleum based which gets even more complicated when you raise questions as to where the petroleum comes from. I am not sure if these things have crossed your mind but it has complicated my thoughts and I find myself going back to raw materials as a starting point. It’s all so complicated!! So I have halted wearing all clothes until I can find my moral grounds. JKJKJKJKJJK!! PS- I love this blog and following your journey and on a side note, I think you also have room to discuss how the capsule concepts has impacted your lifestyle in your new home. All the DIY fixes and such are great practices in being more sustainable. Great job! Totally agree about vegan “leather.” I think the best thing to do if one is vegan and opposed to leather is to look for shoes made from natural plant fibers. Cloth espadrilles for example. I wear leather that is a byproduct of the meat industry as I believe in using as much of the animal as possible. I have truly composted worn out leather (and cotton, wool, linen, hemp etc) products, putting the material safely back into the soil from whence it came. Great post! I love how you’re sharing your journey and finding an abundance of options. I just have to say, though, that the posts on the topic have been a fit defensive as of late (which is understandable due to recent events), but I hope you’re not still letting it bother you! It’s admirable that you’re making these changes at all, and that you’re doing it in a way that you are setting it up to stick. I have just discovered your blog and enjoyed this post. I started the same journey with makeup and beauty products a while back. I think every step you make forward or even to replace one item with a better one is fabulous. I like this idea, learning about ethical fashion can feel overwhelming. Heck, learning about ethical anything can seem overwhelming! Taking it step by step gives you time to explore different options and get the hang of it. I love your mantra “messy first steps”. My own messy first steps (and messy they were, indeed – liking climbing a tree in the dark) were first, when I started my blog, which by default made me more accountable to follow through on things I posted. And second, was just to start researching manufacturers that provide transparency in their manufacturing processes. That gave me the knowledge to approach buying something new I needed in a systematic fashion, because I already new which companies to look at. That said, Everlane is one of my favorites, and I’ll have to check out Matt and Nat now, too. Their pieces are great! Fantastic post! I absolutely loved all of the items you picked out and you provided such great info on not only items but also retailers that sell quality pieces for ethical fashion. Just wanted to mention Sseko sandals if you haven’t run across them. They are fair trade, made in Uganda, and proceeds got to help women there obtain college education. Cool post! I love that you are focusing on this. Within the past year I made a decision to buy ethical clothing. I only knew of several places to shop online, but made the commitment. However, I still bought too much. My closet is overflowing. I need to address it, and I signed up for capsules but am still overwhelmed at the process of a closet cleanout. I’ve tried before unsuccessfully. Any advice for those who struggle with this first step? I really like your blog and your style. I do however, share the sentiments of other people: leather is not eco-conscious. While I recognize that we are far from providing suitable alternatives (i.e., pvc is not a good product) with some effort we can come up with better alternatives. For example, something similar to the Veja shoe can be an all white canvas shoes from tretorn. Animals are not commodities and companies that are claiming better practices with leather are simply greenwashing. I congratulate you on embarking on this challenge. I have gone back and forth in regards to leather, and ended up settling on a recycled leather jacket. I felt like that was a good compromise. But I had never given it much thought in regards to shoes. Thanks for the insight! I’ve got the Veja white sneakers ! Same price like the Stan Smith or Superstar, plus you don’t see them on everyone, and of course they’re quite ethical (and the brand is very honest with the limits of the ethical side of their products) … I love them ! In France we’ve got this interesting brand : 1083.fr. They’re trying to produce everything in France and to import most of the materials from Europe. I’ve seen their jeans on some friends, they’re really nice ! I don’t buy footwear or clothing online because of issues with fit…..I would spend way too much time and money shipping things back. And I am probably in the minority here……but I can’t afford these kind of prices for clothing. Even with a small wardrobe and only buying a few items every three or four months, these are out of my price range. Until prices come down somewhat, I will probably continue to buy secondhand. I do have a question or two. My grandmother was a seamstress and I sew as well although I tend to sew household items and quilt more than sewing clothes as she did. The talent for fitting and sewing clothing seems to have skipped me. Nonetheless, I know what a properly constructed and well made garmet should look like when you turn it inside out. How well is the clothing from these companies made? Most of what I have actually seen and held in my hand didn’t impress me as being constructed any better than most run of the mill options. And that would definitely inform my decision to buy a $100 pair of leggings. 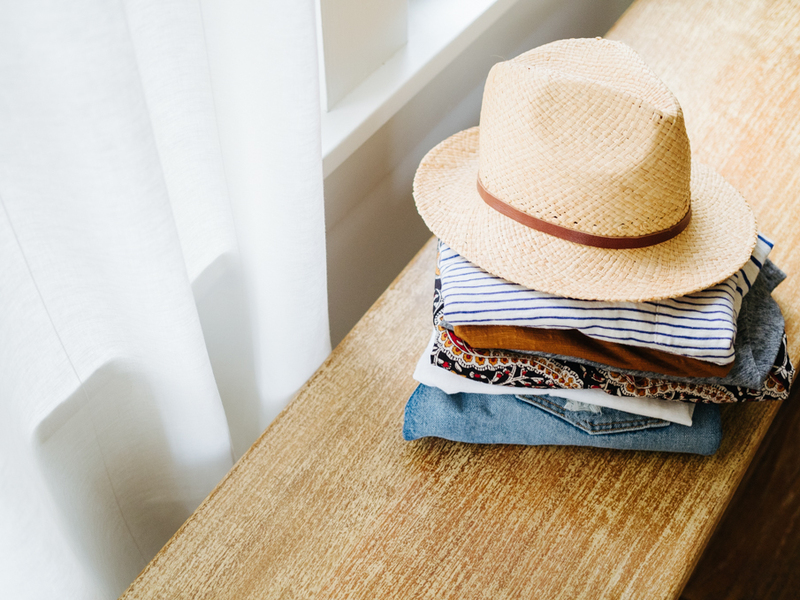 Most clothing will hold up fairly well if washed in cold water with a mild detergent, avoiding the use of fabric softeners and dryer sheets and line dried. Perhaps a commentary at the end of the season on how well the brands that you have bought and worn repeatedly have held up? I do enjoy reading your blog very much. Love this post, and you’re on such a good track with the ethical closet. Another shoe great socially responsible shoe company is Fortress of Inca. Not cheap, but nicely made and a fashionable option. When I started down this road myself not long ago, I found this list of ethical/sustainable clothing brands really helpful (and the site in general): http://www.thegoodtrade.com/features/fair-trade-clothing — 35 fair trade clothing companies. Happy (limited) shopping! sometimes shopping this way takes patience because you can’t just get the exact piece you want when you want it, but it’s so fun when you find something that you are looking for! and i think it is easier to shop secondhand and/or ethically when you are using a capsule because you know what you actually need/want instead of just walking into a store and impulse buying whatever. pricey, but well made by Turkish artisans. they are the opposite of toms, who deplete the local economy of its artisans by giving away shoes that put shoemakers in developing countries out of work. sabahs bolster the local economy and preserve handmade skills. plus they are comfy and wear well. Thank you so much for sharing! I recently discovered Pact Apparel. 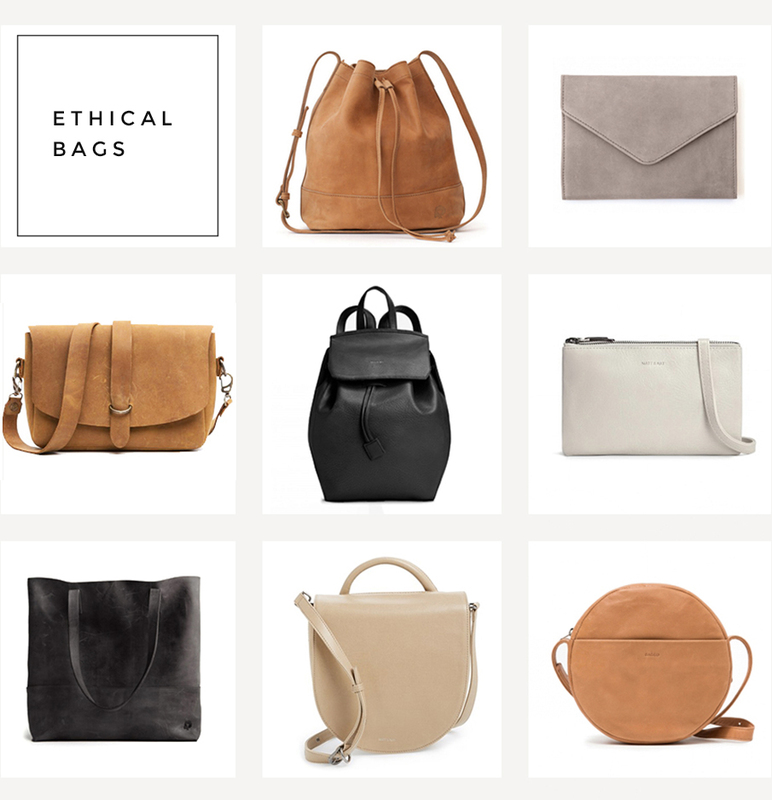 They have great basics and are really onto something in regards to ethical shopping. Check it out. Love this! I’m trying to get back into running (or at least walking) and in desperate need of new active wear. I love seeing ethical active wear that is similar in price to standard retailers (Nike, Adidas, etc.) I think the idea of picking three is a great start, and a simple way to get started. It can be SO overwhelming to decide to overhaul your shopping completely, and can stop you from just starting. Messy first steps are exactly what we should be expecting in this journey. I just watched the True Cost and it made me cry. I felt so overwhelmed. I want to fix the world and make things change and change people and America. Why can’t people see this stuff and make changes?! But then I realized the best I can do is change myself and try my best to spread the word and share what I learn, in hopes that other will also feel the urge I feel to make positive changes and reduce their waste. So, I blog about it too. And while I don’t have the followers you have, the best we can do is our best. Thank you, Caroline! Your voice is a much needed one in a sea of consumerism and wastefulness. Shopping ethically will get much easier once you take the stress out of it. It is called slow fashion for a reason, so don’t feel pressured to make the change all at once! You will find so many amazing brands that have clothing and accessories you love. The main goal is to buy less and buy better. Wishing you the very best in your new journey! I love your picks, especially shoes #7 and bag #3! I buy second hand leather bags and I love my current one, but sh shoes aren’t up my alley, so I try to pick classic, durable pieces that I can get the most wear of. I’m located in EU and try to choose manufacturers local to my own country, but I found a tiny greek company that makes sandals by hand. It’s called Ippomare and they’re really affordable! I bought a pair, but had no chance to wear them yet (it’s way too cold). It’s all so complicated, though – for underpaid workers in poor countries, it’s often the only option for survival. They can choose hard, underpaid work or death. For them and their families. It feels like there’s not much I can do, but in the documentary I’ve seen they mentioned some organisations. Sending them money is one of the little things I can do, alongside voting with my wallet and picking ethically made items. Thank you for reminding your readers that its little steps and not to get overwhelmed. Of course this is a mantra for the everyday in every new habit change and for every day choices. Small bites. Since reading your blog a few years back I have made conscious choices to buy less, buy with intentionality, and with purpose. Now I have become more aware of ethical options and the importance of knowing who my neighbor is and how I can love him/her from afar, with my choices. I am still looking at what ethical ooks like for me but for example when we needed to buy a new oven and dishwasher – my first choice was Made in the USA. I do love to buy from other countries but I know how important supporting US companies is to the workers. Thank you for sharing your thoughts. Its refreshing. This movie has forever changed how I will shop. Thanks for speaking out and exploring this topic. I’d like to pass on the brand Oliberte for you to consider in the future for shoes and bags. Perhaps not screaming your style, but they are fair trade and worth looking into. Regarding active wear, does anyone have any tips about running shoes?? I worked in a running store for two years and I’m stumped. Although New Balance touts their “made in USA” values, only their lifestyle shoes are made here. Brooks’ shoes have a biodegradable midsole (not sure about the rubber outsole and the fabric upper though…). I would love to keep hearing about how your understanding of ethical clothing choices evolves over time. It’s such a complex topic, involving human rights, animal welfare, economic factors, political issues. My own first step has been buying things that last, and secondhand when possible. But I’d love to move toward more ethical choices, including buying from local businesses that I trust. Ethical clothing is such a big thing now and I absolutely love the heart behind those who created the environmentally + socially conscious brands, and of course the supporters. I’m beginning to dip my toes in this arena but I’m not setting very strict rules for myself as that would totally take away the fun out of shopping, for me at least. If something speaks to me, I would still purchase it but one thing that I’ve steered clear from is v v cheap clothing. Love your roundup, and would love to see more like this. It’s so helpful to be introduced to new brands. I’m finding that although shopping “ethically” can seem really challenging when your previous go-to sources are now off-limits, the hunt can actually be really fun. I just started posting a series on searching for ethical alternatives to usual wardrobe staples! I like the “Pick Three” philosophy. Sherman Alexie wrote a short story published in The Absolutely True Diary of a Part-Time Indian, where his character picks just three things to focus his energy (for him, it was his wife, basketball, and freedom of speech). This has always stuck with me. 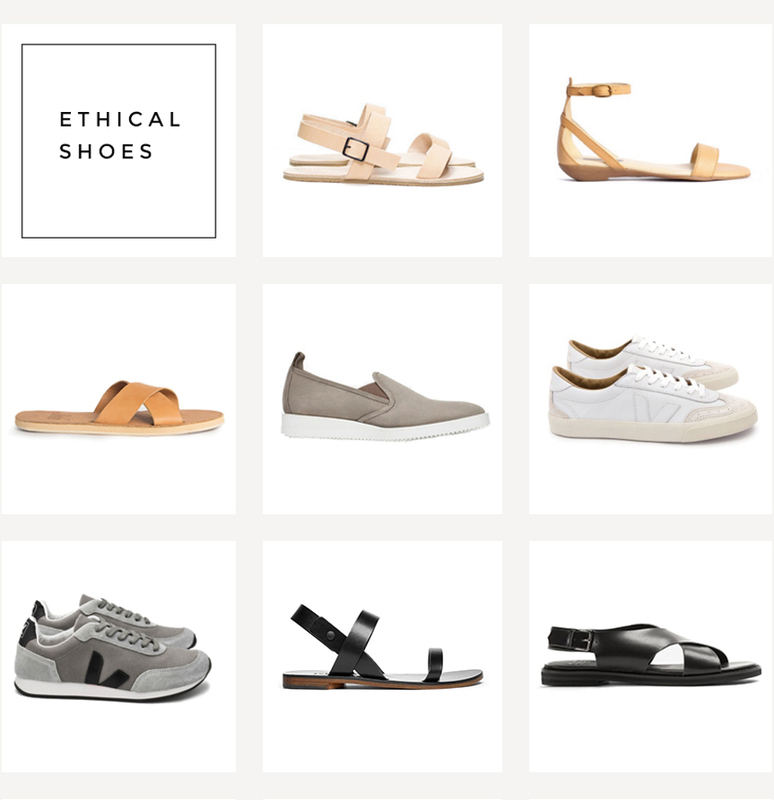 I love that you’ve identified the areas of ethical fashion that each of these brands align to. Ethical fashion is such a huge & daunting labyrinth to try & make sense of so the way you’re helping people make conscionable decisions aligned with their own values is excellent. Thank you for this post! I’ve been so intrigued by your ethical closet! It’s such an interesting topic and I’m excited to keep learning more about it through your blog. Have you checked out Tracksmith yet? They’re a running brand with a very minimal, refined, Ivy League aesthetic, which I think you’d love. Most (if not all) of their stuff is made in the USA. Thanks for this post! I’ve been on the hunt for new, conscious sandals but haven’t had much luck. In part, I want something relatively comfortable with a cushion sole and some support. I’m curious – between the Zuzii and Sseko, do either have a cushioned footbed ? It’s difficult to tell on the website. Thank you! So I got my first pair of Nisolo’s in yesterday. Of course they’re on my feet today…and will be for the rest of the spring and summer (and probably fall). Nisolo is participating in Fashion Revolution Week right now. Pretty neat event highlighting ethical fashion. Lots of brands participating. Check it out! Looks like you can order vejas on Amazon, as well, and I’m sure the return process would be easier. Just FYI. So great se reda this! I write about sustainability family life (in a swedish blog) and finding clothes that is both “good” and look great is soo hard. Hope to get some tips here. I love this post! I’ve been really thinking a lot of about ethical fashion recently and had basically landed where you are. I’m still learning and want my purchases from here on out to be good ones. Shoes and bags were at the top of my list. I love Sseko, by the way. I have a pair of their ribbon sandals I bought almost 8 years ago that are still going strong! Most informative post and comments ever! Thank you! I am struggling with this right now. I recently started exploring veganism because it helps my anxiety…and my waistline ;) But I have this 108″ leather couch, and leather shoes. Then if I go with synthetic, it’s all petroleum products, and overseas labor….sigh. Not to mention I am in the middle of boomtown, ND where there is no recycling program…and fracking. One step at a time. P.S. I do a ton of instagram shopping. I follow a few shops like Stylish Treasures. She goes thrifting, or even sells her own clothing once in awhile. First person to leave their email claims, and the seller sends you a paypal invoice. So easy, cheaper than Etsy. Hi Caroline – do you have any workout shoe brands you like? My current pair is a New Balance zero sole pair that is three years old. I’m looking to replace and was wondering if you have any recommendations. I know Anthropologie released Adidas x Stella McCartney, and I know Stella is a reliable source for slow fashion. I am trying to find out about the production of these shoes. Caroline, this makes me so SO happy. You’re an inspiration. Thank you for using your voice to promote responsible practices to help the world and the people we share it with :):):) I look forward to seeing more! This is so great. I have been researching ethical fashion for awhile now and am so happy to see what you find! I also have a pair of Vejas – very similar to your grey ones and I love them! 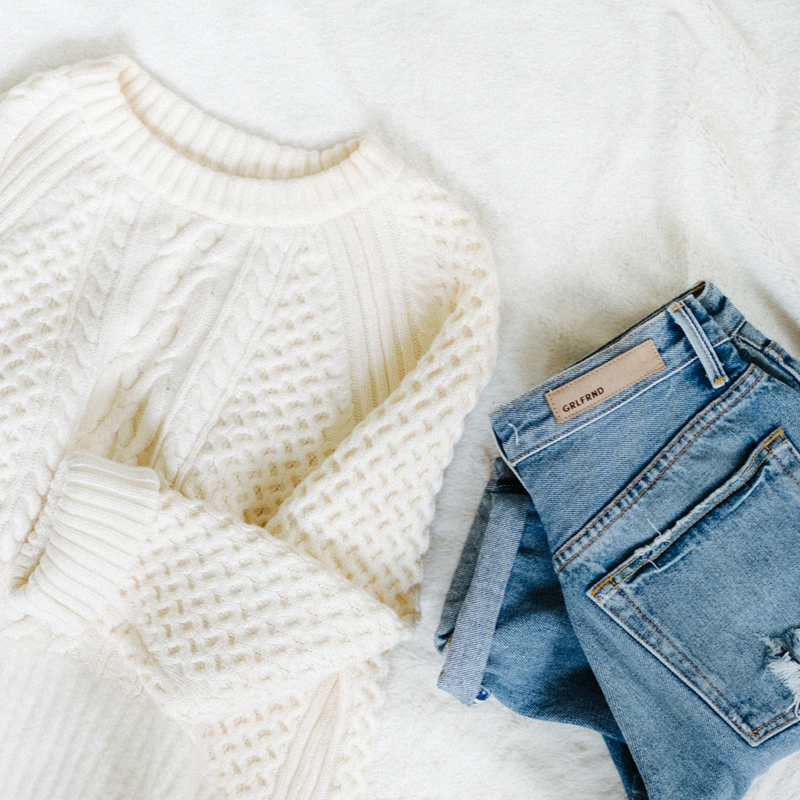 Question: What have you found about Madewell’s ethical practices? Does anyone know, are shoes from Frye company ethically made? I am on the same journey! A bag company I like is Gunas, they are vegan and sweat shop free. I also buy a lot of clothes from prAna. A lot of there stuff is organic cotton and fair trade (not everything, but it’s all labeled). Hope that helps with your searches! I’ve been interested in the tiny house movement for the past few years, and a friend recommended your blog last fall/winter. Since then, I’ve been overwhelmed since allowing myself to change my wardrobe from things I’ve had since high school/early college to what I truly want to reflect as my style. It’s been so freeing and has allowed me to drop off so many “shoulds.” I’ve loved following your journey. I live in Chattanooga, TN, so 2 hours from Nashville and so glad you found Nisolo! 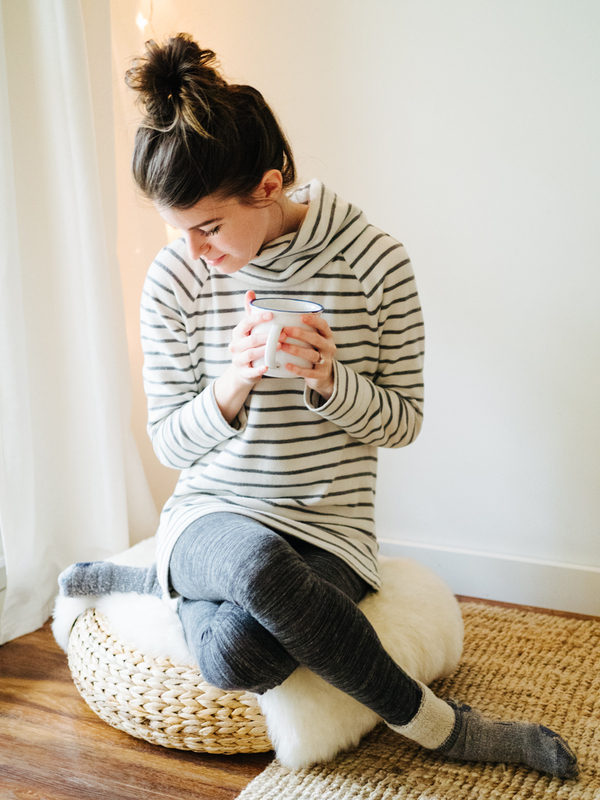 I also love Raven and Lily (http://www.ravenandlily.com/) and Slumlove Sweater Company (http://www.slumlove.com/). I also love Brass Clothing (http://brassclothing.com/) which I think you’ve found as well. Excited for the new direction of your blog and continuing with you in this journey of slower fashion. I just discovered your blog, and I am so impressed and inspired by what you’re doing! I have been looking for ethical activewear for a verrrry long time, so THANK YOU for these ideas!!! 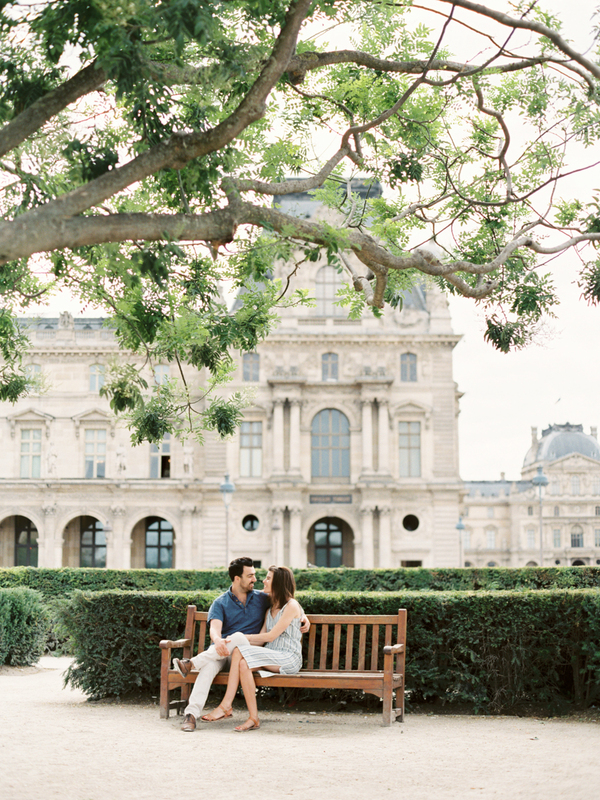 Incredible list – Everland and Matt & Nat are two of my absolute favorites! Hi Caroline, just wondering about your Veja volley and arcade trainers. How’ve they held up with wear? I’m keen to get a pair of Veja trainers but am concerned that they won’t last. Any thoughts?